My name is Dr. Tropea….thanks for coming to this website. If you suffer from any type of wrist pain, Carpal Tunnel Syndrome, or any wrist discomfort you must stop what you’re doing right now and get this confidential report! You may not have to suffer anymore! Get your free copy right now. 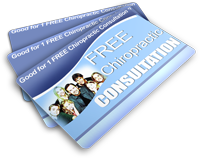 Get it Instantly Plus Qualify for a Free Consultation. Just Complete The Form on this page!